Mariell's Rhinestone Jewelry For Proms, Bridesmaids, Weddings, Pageants, Homecoming & Prom features our spectacular collection of well-priced and stylish Rhinestone Necklace and Earring Sets with bold colored stones, dainty pearl accents, and sparkling bling sets. We offer a great variety of rhinestone necklace and earring sets including styles with adjustable necklaces for both petite and plus size fits. Our dazzling Pearshaped, Emerald Cut and Round stones offer endless colot choices from Purples & Red to Teal or Royal Blues. And of course we have boundless choices in the ever-popular crystal clear! Most items are ready to ship or drop ship immediately. 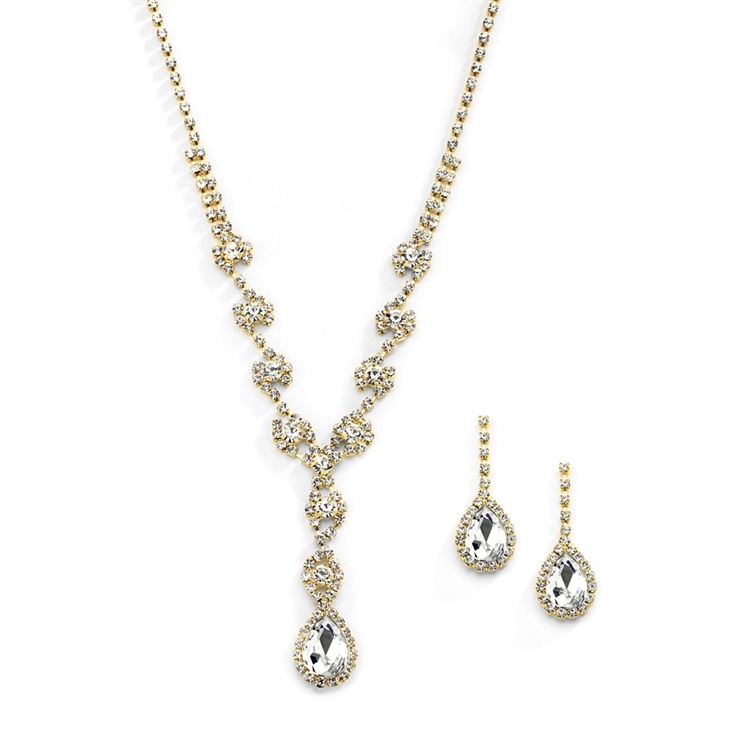 Sparkle in Mariell's top-selling Wholesale Rhinestone Necklace and Earrings Sets for Weddings, Bridesmaids, Pageants, Proms, Homecomings or nights on the town at great affordable prices!